I first saw Miranda’s debut musical, In the Heights, in June 2008, the week after it won the Tonys for Best Musical and Best Score, among others. I did not get to see Miranda in the lead role, as his understudy stood in that night, but I was still swept away by this musical. It was bright and energetic, while still soulful and emotional. Sure the inclusion of rap in the score was not something I was accustomed too, but I still loved it. Still do! I even wrote a sociology paper incorporating it! Good stuff, right? There’s a reason that Tonys opening is regarded as one of the best openings in recent history, and it’s not just because of Neil Patrick Harris. Miranda’s music and lyrics may have a very different tone from Frozen, but they’ve got so much spark and wit and heart that I think they’ll fit quite well in the Disney canon. But, back to In the Heights, despite being best known for his rap-influenced score, my favorite songs from the musical are more traditional, sung by the character of Nina Rosario. A 19-year-old college freshman, she returns home to the Washington Heights barrio for the first time at the top of the play. Part of this preference is personal – I was just a few years from college myself at that time, and under a lot of pressure like her. But even objectively, Miranda just does a fantastic job writing for women – and not only one type. The musical is noted to have an even number of male and female roles, and for passing the Bechdel Test. So Miranda’s songs for the young hairdressers Vanessa, Carla, and Daniella; Nina’s mom, Camilla; and Abuela Claudia, the elderly village matriarch, are never one-note. They are vibrant, diverse, realistically rendered, and often moving. Even better? They generally aren’t focused on male characters. They instead each represent the character’s own dreams, goals, and growth. I wonder what she’s thinking. for the city on a cold, dark night? did she dream of endless summer? or did they just go? to leave behind everything you know’? In this verse, we see on the surface that Nina is ruminating on Abuela Claudia’s life as an immigrant from Cuba. But, as revealed in the last lyric, there’s another layer – she’s thinking about her own life too: How she had to leave home to go to school, and how things didn’t go as planned. It’s a powerful piece that takes Nina on a journey that leads her to make a huge decision by the end, but it isn’t laid out for the audience up front. Also, it makes me cry half the times I listen to it. No joke. My point in talking about all this is to say that Lin-Manuel Miranda is an incredible artist. His lyrics are witty and well-crafted, and the characters he creates in those songs, particularly his female characters, are real, developed people. 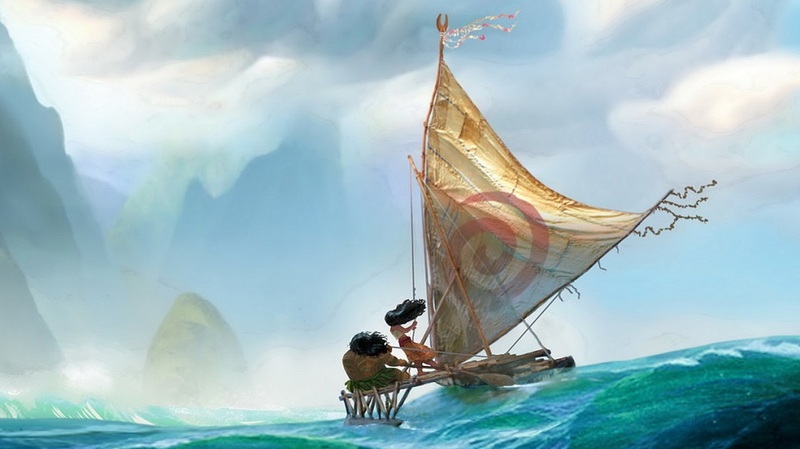 He is also very cognizant of the role cultural heritage plays in a character, which will be important in the portrayal of Polynesian culture Moana calls for. Thus I know Miranda, along with the rest of the creative team, is more than up to the challenge of giving the next musical Disney Princess her voice. And I hope, after this article, you all will know too. Learn more about the blog here, about me here, and my recommended articles and sites here.